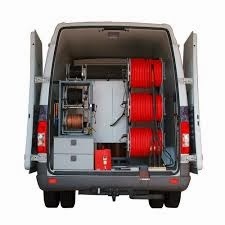 The National Power Authority has deployed a new cable test van that can detect faulty underground cables. One of the goals of the German-made SebaKMT diagnosis technology is to avoid service interruptions primarily caused by damage to cables due to failure on joints, terminations and cable insulation. Electricity reaches less than 10 percent of Sierra Leone's estimated population of 6 million. The country covers a total area of 71,740 km (27,699 sq mi). The National Power Authority (NPA), which generates and distributes thermal energy, has a maximum capacity of 85MW, but probably generates only a fraction of that. NPA was founded in 1982 and is based in Freetown, the nation's capital. Edward Parkinson, one of the technicians who works with the new van for testing power cables, told Voice of America that technicians used to have to dig up entire streets trying to find broken cables. "With this new equipment, it will reduce the down time and also it will help us locate faults at a faster rate," he said. Scott Gavin, the deputy general manager for NPA, said his hope is the vehicle [estimated cost at $230,000] will help the country have power 24/7 within about two years, by detecting faulty cables quickly and repairing power faster." The van has a generator in case there's no power. “This is good news,” commented Sesay a Freetown-based civil servant. “But don't you think the vehicle costs too much? Is it really necessary since about 80 percent of electricity cables are not underground? I hope it serves the purpose. But [I'm] curious as to the rationale behind buying an expensive vehicle like this, when the main problems causing blackouts has not been said to be about underground cables but faulty turbines?" he asked. “Our cable depth rarely if ever goes below 2m depth under sewers or in water,” observes Sylla, an engineer based in London. “They are a reputable company [but] we do not need their latest equipment in Sierra Leone for cable detection. The technical specification is not our requirement." Smith, a U.S. based engineer said after a review of the processes involved in isolating and correcting cable faults, he now understood why it was takes so long for ill-equipped crews to fix faults and to restore power. "First, the technician attempting to fix a defective cable has to determine what type of fault might be causing the particular failure [and] there are quite a few ways these failures could occur. The van in discussion here is a self-contained integration of the several tools and equipment needed to perform all the pertinent tests and measurements for each of the process steps. It just might be worth every Leone in that it can do the work of ten or more highly skilled technicians, faster and more accurately," Smith said. The provision of electricity in the capital and provincial cities and towns has been a priority for decades. At least on paper. The reality is like many African countries there has been insufficient investment in generation capacity and networks. As a consequence stagnant and declining connectivity, poor reliability, with high costs and prices further hindered maintenance, refurbishment and systems expansion. The authors of Africa's Power Infrastructure: Investment, Integration, Efficiency, published in April 2011 by the World Bank, found Sierra Leone has only 28,000 electricity customers with an overpriced emergency diesel-based power supply contract. The study also found the overhead distribution network for the low-income eastern part of Freetown was rigged for spare parts to repair the network of the high income western part of the town leaving many former customers in the eastern districts without power. Like many African countries, the study said, households account for the majority of power utility sales but only about 50 percent of sales revenue because of poor collection and under pricing. After the war, the state or donors subsidized the share of capital investment that tariffs could not cover. Social commentator Lans Gberie said wryly "A skeptic may wonder why with a war to end, hundreds of thousands to resettle, clinics to be built, security systems to be revamped, starving people to be fed, the country, in short, to be put together, would it have been anyone's priority in 2002 and thereabouts to assure electricity to less than 10 percent- and my apologies for seeming to be reading from Kandeh Yumkella's list." Kandeh Yumkella is the current chairman of UN-Energy and former director-general of the United Nations Industrial Development Organization. 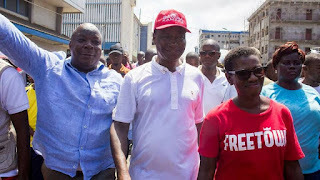 In a September 2010 speech, after detailing some of the many major projects which have been completed or launched in Sierra Leone since 2007, President Koroma said “Within three months of my taking power we fulfilled our pledge to bring electricity to our capital. Within two years, we completed the 30-year-old Bumbuna hydroelectric project. 445 million cubic meters of storage capacity. "The Bumbuna project, under construction for more than three decades, was completed and commissioned in 2009," the president reiterated. "It has helped in no small measure in the supply of electricity to Freetown and the northern City of Makeni. In addition, a 10mw thermal plant was installed at the Kingtom Power Station in the west end of Freetown, and two thermal plants of 8.2mw at the Black hall Road Power Station in East End Freetown were installed to supplement electricity supply in the nation's Western Area, serviced by the National Power Authority. Yet challenges in increasing the capacity of electricity, maintenance and running cost remained. 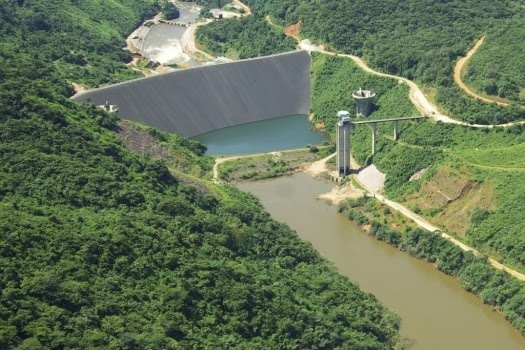 The Bumbuna Hydroelectric Project, a 50 Megawatt water regulation and hydropower facility located on the Seli River near the town of Bumbuna, was expected to bring a stable supply of lowest cost and renewable electricity to Sierra Leone in an environmentally and socially sustainable manner. 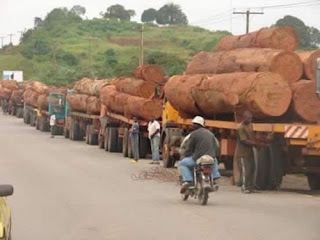 But according to The Africa Report, Energy minister Oluniyi Robbin-Coker announced this year government would not renew Italian company Salini Costruttori's maintenance contract for Bumbuna, which expired at the end of May. The first phase of the much-heralded Bumbuna Dam was riddled with problems since it opened in 2009, the report added. The dam and corresponding plant have a maximum capacity of 50MW, but it is barely producing 25MW. Energy has always been a strong priority with an ambition to reach full coverage by 2025. Following Britain's Department for International Development support for completion of the Bumbuna dam and a hydroelectric power station in 2008, the African Development Bank channeled more than five million pounds sterling through the Sierra Leone Infrastructure Development Fund, established in 2011 with the World Bank, to run until 2015 to help strengthen the electricity sector and facilitate further investment. The Ministry of Energy and Water Resources wants to see the National Power Authority restructured and brought more firmly under ministry control. It will also unbundle the sector, creating a separate generation and transmission company and a distribution company. Recently, the Koroma administration launched an electricity reform effort to establish two state owned enterprises, one to oversee electricity generation and transmission, and the other to manage electricity distribution and supply. In May, the Japan International Cooperation Agency provided the government of Sierra Lleone with a $14m grant to install distribution lines in the capital and rehabilitate existing networks. Four months later, the African Development Bank discussed a financing deal for a high-voltage interconnection project that would link Côte d'Ivoire, Liberia, Sierra Leone and Guinea. Earlier this month, the World Bank's Board of Executive Directors approved a US$40 million credit from the International Development Association to help Sierra Leone establish a strong national electricity distribution utility with better technical performance, financial viability, and improved electricity delivery to the country's 6 million residents. The International Development Association (IDA) funds support the Energy Sector Utility Reform Project that will help establish a solid management and organizational structure for the national electricity distribution utility while the government's electricity reform is underway. "Although Sierra Leone has sustained strong economic growth, infrastructure development and governance improvements, electricity access and consumption throughout the country are among the lowest in Africa," said Francis Ato Brown, World Bank country manager for Sierra Leone. The priority will be to support a three-year performance-based contract for utility operation and management between the national electricity distribution utility and a specialized firm. The project will finance extensive investments in the rehabilitation and upgrade of the electricity distribution network, as first step to improve the quality and reliability of electricity supply. In addition, the project will support technical assistance to identify new sources of power generation and to plan for extended transmission and distribution networks that will reach new electricity consumers throughout the country. "Efforts to increase electricity generation capacity will not translate into better access without improving utility performance and addressing transmission and distribution bottlenecks" said Meike van Ginneken, World Bank sector manager, Africa Energy Unit. Recently, a new 6MW thermal generator total was turned on at Lungi . "This is good news for the area," resident Sorie Sankoh said. Lungi is a small coastal town in Port Loko District. The town lies approximately 40 miles north of the district capital Port Loko with a recent population estimated at 8,091. Lungi is best known for being home to the Lungi International Airport, the international airport that serves Sierra Leone.